Chishimba Kambwili has hit back at PF cadre Munir Zulu following his allegations that the Roan MP is a corrupt businessman who swindled him and some Chinese businessmen out of thousands of dollars. The youthful businessman had claimed at a press briefing held at Chrismar Hotel in Lusaka yesterday that the Mongu Stadium project has failed to take off because Kambwili, then Minister of Sports, swindled the Chinese contractor, Wah Kong Enterprises – the company that constructed the Ndola Stadium, out of US$300, 000 in commissions. 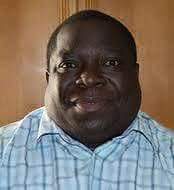 But in response, Kambwili labeled Zulu a “thug” who only escaped arrest for beating up police officers because he drinks with State House officials. The former chief government spokesperson promised to hold a press briefing to respond to all the “trash allegations” leveled against him, after which he will sue his accusers so that they can prove their allegations in court. “Cry my beloved country! It’s so sad that we are currently living in a country where thugs can beat up police officers and appear publicly on TV without the police arresting them, all because they go to Capones (Nightclub) with state house officials,” Kambwili wrote on his Facebook page. “We are living in a country where peaceful protesters are arrested for merely asking questions over the $42 million day light robbery. Analysis – 2016 elections: Who goes to State House? Yes let all corrupt individuals be exposed through the courts. Fight fire with fire. Lungu is surrounded by thugs like Kapata, Lusambo and Home affairs miniter with few state house officials. These are the ones denting the Zambian politics and democracy. For them politics is eating and will never admit to lose of power and unless forced to. Opposition should be prepared to fight fire with fire like Kambwili. UPND thus has to be careful. The so called dialogue with PF govt might end entrench their hold on power because UPND might go into sleeping mode. Remember Mugabe-Morgan dialogue deal. In the end Mugabe gained strength. Lungu is advised by Mugabe and other southern African dictators. You have to come close to him with a long spoon. CK is right. There is nowhere else in the world ( except in failed staes like Libya, Somalia etc) where a Civilian beats up a Policeman in public and moves around freely as if nothing has happened. Its leadership failure of the highest order.Its unprecedented. How dare PF give a common thug like Munir Zulu to speak on its behalf. PF has hit a self DESTRUCT button. its only a matter of time. Change from within or from without is inevitable. cry my beloved Zambia. It has nothing to do with PF but everything to do with the stupid policeman who allowed himself to be treated like that.